Giraffes might be one of the most recognizable and beloved species on the planet, but over the past few decades they’ve suffered catastrophic population declines in Africa, which has led to concerns they may disappear forever. Widespread attention was finally drawn to their plight, which has been dubbed a “silent extinction,” in 2016 when the International Union for the Conservation of Nature (IUCN) changed their status from a species of Least Concern – skipping right over Near Threatened – to Vulnerable on the Red List of Threatened Species after finding their population had declined by as much as 40 percent over the past three decades – leaving just over 97,000 individuals in the wild. Although different populations are faring differently, things haven’t gotten much better. The IUCN recognizes nine subspecies of giraffe, and in 2018 it classified three of them as Critically Endangered and Endangered, while the rest are Vulnerable or Near Threatened. Only one is now considered a species of Least Concern. Unfortunately, while they continue to face mounting pressure from a growing human population, human-wildlife conflicts, disease, habitat loss and fragmentation, predators, civil unrest, drought, climate change, they’re also facing another serious threat – being killed for trophies and their parts. Last year an investigation conducted by the Humane Society International found that nearly 40,000 giraffe parts had been imported to the U.S. in just the past decade. While conservationists are working to protect giraffes under the Endangered Species Act to ensure the U.S. isn’t complicit in their extinction, other parts of the world are also playing a role in their decline. Now, however, conservation and animal advocacy organizations are hoping to see the trade affecting giraffes addressed at the next meeting of the Conference of the Parties to the Convention on International Trade in Endangered Species of Wild Fauna and Flora (CITES). More specifically, they’re urging the European Union (EU) to support a proposal put forward by African nations to include giraffes in the list of species included in Appendix II, which would better protect them by limiting the trade in their parts. “We call on the EU to join the majority of African countries in their efforts to better protect giraffes. The species is endangered, populations have plummeted to less than 100,000 animals and we must ensure that over-exploitation for international trade is not fueling declines,” said Daniela Freyer from Pro Wildlife. According to organizations supporting the proposal, the EU is a key consumer of giraffe products, with online research detailed in the proposal showing records of over 300 giraffe products for sale in several countries, including Belgium, France, Germany, Greece, Italy, Spain and the United Kingdom. Although the proposal is being supported by six African nations, including the Central African Republic, Chad, Kenya, Mali, Niger and Senegal, and has the backing of the African Elephant Coalition (AEC), which represents a consortium of 32 African countries, along with a number of non-governmental organizations, supporters note that the EU’s support is critical to getting the proposal passed. “The giraffe is going quietly extinct as they are slaughtered for trophies and their body parts used for trinkets. 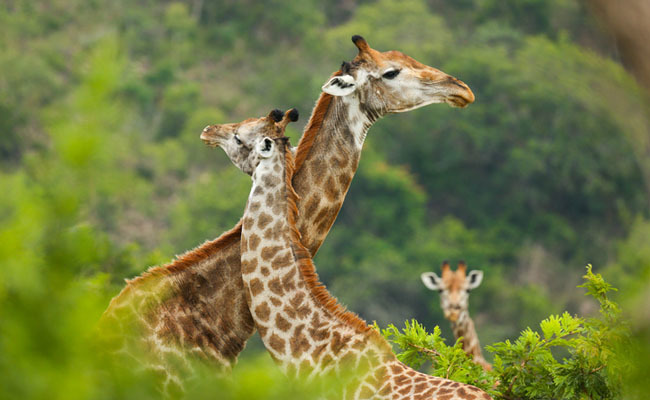 As there are currently no regulations on trade in giraffes, a CITES listing would provide critical measures to ensure giraffes are not pushed to the brink of extinction, and the EU’s vote holds the key to its success,” said Adam Peyman wildlife programs and operations manager for Humane Society International. Member states will hopefully move to support this proposal to impose regulations on the giraffe trade, which will help protect one of the world’s most iconic animals from being senselessly driven to the brink before it’s too late. Trophy hunters and their evil groups like "Dallas Safari Club" should be considered terrorists. Death penalty is the only appropriate justice for all of them. Go after the consumers as well as the peddlers and poachers. They all should be considered terrorists and given the death penalty.